I promise 100% privacy. Your details will never be shared. By signing up you consent to receiving regular emails from Antoinette Oglethorpe with updates, tips and ideas for leadership development along with the occasional promotion for my other events and products. You can unsubscribe at any time. The LEADER System outlined in the book offers a structured method and approach that is very practical and easy to follow with a minimal mount of 'fluffy' psychobabble.. A fantastic and highly recommended resource. A common sense book offering practical tips for growing your leaders. An easy read which is all in plain English (refreshingly there is no jargon!) and logically laid out to help you shape your thinking and action points to help you plan for the future. 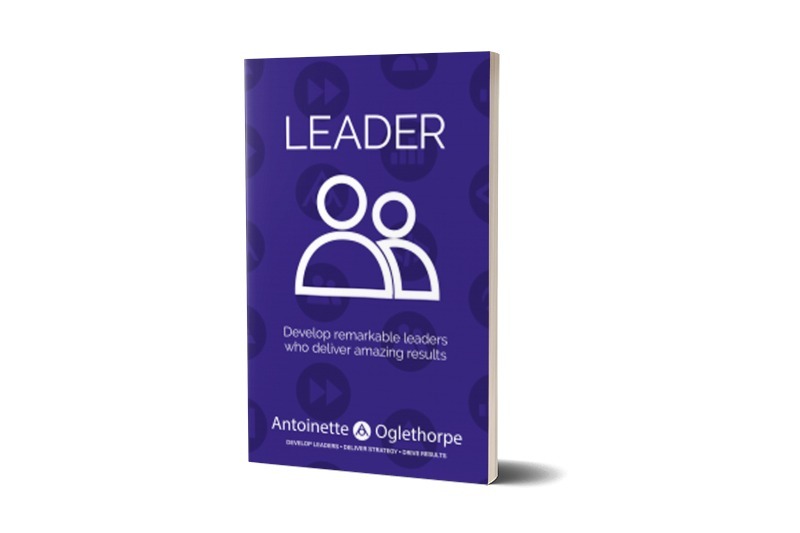 Antoinette Oglethorpe has developed leaders for some of the most successful organisations in the world, including P&G, Accenture and XL Group. But her passion lies with fast-growing, high-tech companies. A defning moment of her career was when she helped start up Avanade, a joint venture between Accenture and Microsoft. As International Learning Director, Antoinette played a key role in developing people to grow the business. And they did just that. Avanade grew to 1200 employees in its first year of operation. Antoinette is a Chartered Fellow of the CIPD and a member of the Association for Coaching. She has written for CIPD Management ToolClicks, Coaching at Work and the HR Gazette; she speaks about leadership development at international conferences and events and she hosts the Talent Development Mastery podcast on iTunes.